Pokémon Go is out now on Apple Watch, Niantic announced today. The watchOS version of the hit Pokémon game, which debuted at an Apple event this fall, is available to download from iTunes. 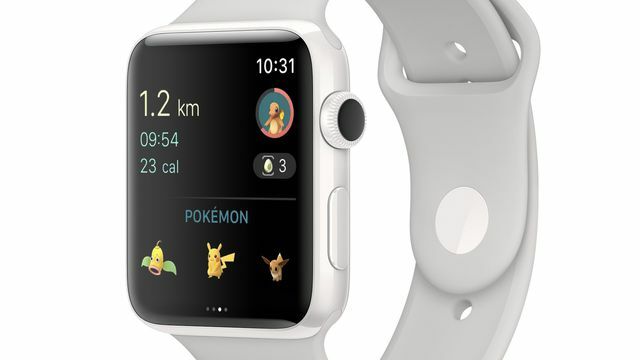 The Apple Watch version of Pokémon Go is more stripped-down than its smartphone predecessor. The game is scaled back to better fit the watch’s user interface, but there are still several main features that players can access. These include finding Pokémon and picking up items from PokéStops, as well as collecting Pokémon candy. A key element lacking from the Pokémon Go Apple Watch app, however, is catching Pokémon. Players will still need to pull out their iPhones in order to capture a nearby monster, as the Apple Watch app only notifies players when a Pokémon is in the area. That aside, the features are pretty helpful for Pokémon Go players and smartwatch owners on the go. They can log steps that go toward the distance required for hatching Pokémon eggs, and they’ll receive notifications about the PokéStops they’ve visited and medals they’ve collected. Pokémon Go’s Apple Watch release may not be the holiday event Pokémon trainers were hoping for, but smartwatch enthusiasts can consider it an early gift — especially considering Niantic originally denied plans to bring the game to watches.